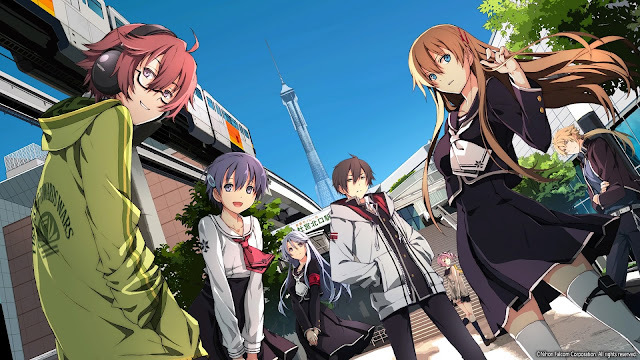 A while ago I had the opportunity of reviewing Tokyo Xanadu for the PSVita. In my review I mentioned about waiting to see if the EX+ PS4 version would get localized in North America, and here it is! With sharper graphics and smoother gameplay, as well as additional content to the original version, this JRPG has certainly gotten an upgrade. For those who don’t know about the original version, Tokyo Xanadu centers around Kou, a young Japanese schoolboy who has a penchant for part time jobs and helping people. One night after finishing a shift, he spots a girl from his class getting harassed by delinquents. Suddenly a crack appears in space, and Kou and his classmate are sucked into a labyrinth. At the end, he finds his classmate destroying monsters using a mysterious weapon. Kou then discovers that he too has the power (not of Greyskull), which allows him to fight off the monsters and labyrinths that are eclipsing reality. Gameplay for the most part will center around two phases: free time and dungeon delving. During free time you can interact with people, explore non-story related dungeons, complete quests, or spend a limited amount of time to improve your relationship with your friends. Meanwhile, the dungeon delving is how you advance the story, by clearing out the monsters, called Greed, from the labyrinths called Eclipses. 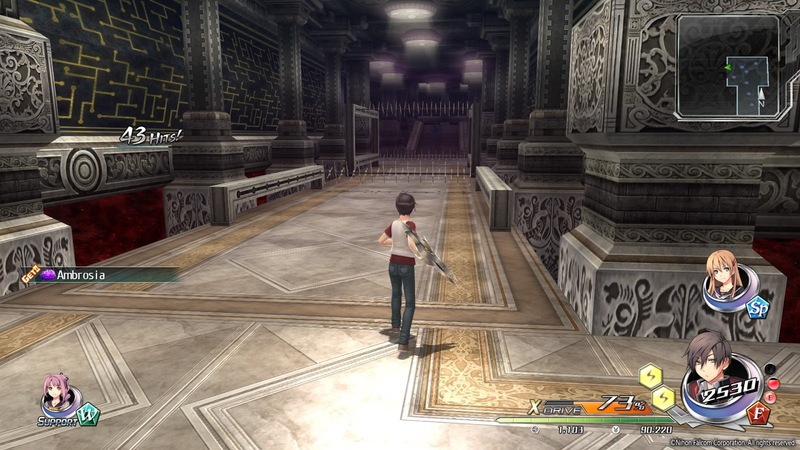 Quests in Tokyo Xanadu are an interesting blend of infuriating and mundane, not so much because of their contents, but because there is generally one hidden quest every chapter that you need to go and find, which can take a lot longer than you would expect. Thankfully, there is an option with either the circle button one of the shoulder buttons to speed up/skip text, so if you’re only looking for the quests or data entries for friend/character info, it can be super helpful. During the Eclipse exploration, you go in with up to three characters, all of whom have their own elemental affinities and playstyles to combat monsters. The main character is supposed to be an all around type, for example, and the classmate, Hiiragi, is a ranged magic type, primarily. The Greed within the Eclipses have their own affinities that it is suggested to take characters who oppose those elements to make your fights a little easier. Dungeon exploration and combat is of the action/hack and slash variety, where you have your standard combos, aerial attacks, ranged, power, and flight skills, as well as special moves that include; X-drives, X-strikes, and EX skills. The EX skills are new to the EX plus version, and will fill along with the X-drive gauge, and are powerful special attacks. An X-drive will give benefits depending on allied partners’ elements, as well as making every attack an “effective element attack”, as well as bringing in your partner to help fight with you. 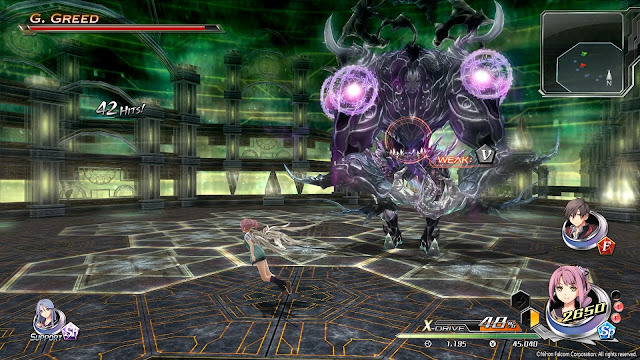 The X-strikes are the special cutscene attacks, and points are built for those by increasing your combo count. As you beat up baddies in the Eclipse, you can get crafting materials that will help improve your characters’ skills and stats, as well as adding additional “gem slots”, where you can basically outfit characters with skills of your choosing, so long as the available slot is able to use whatever gem you want to equip. My personal favourite two-gem combination comes towards the end of the main storyline, where you can get the Ikaruga and Soul of Archery gems, which effectively doubles the amount your combo counter increases by and doubles your ranged skill damage at the cost of power and flight skill damage. It was around then that I realized the combo counter caps at 999, and every hit after gives two out of the ten points you need for an X-Strike. The graphics have received a nice upgrade from the Vita version, with everything looking more sharp, and most of the characters don’t have “plank hair” anymore, although the flowers on the trees are certainly, well, flat. 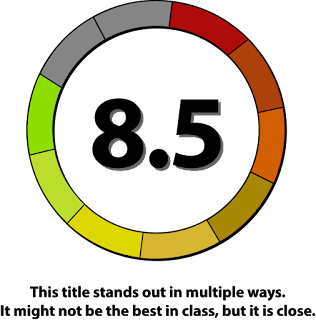 The game is a lot more fluid as well, as I noticed less choppiness, and the load times between areas were significantly reduced. It was also nice to see that the map screen for the area select changed based on time of day and weather, and your main character will even bring out an umbrella if it’s raining. 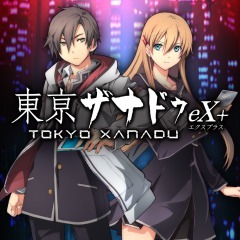 I mentioned it in my Vita review and I will restate it here, but Falcom has a pretty good track record in my opinion for game soundtracks, and Tokyo Xanadu is no exception to that. I found the dialogue in game to be pretty good, with a couple of jokes, such as a character getting told that there are pencils sharper than he is, to a couple of Cthullhu and R’lyehian references, which I thought was pretty cool. The new side stories are really neat, and they provide an interesting, albeit short, view into some of the events that were referenced in the original. Speaking of added or changed, you can now visit Kou’s room and furnish it with a bunch of random stuff that will give you extra scenes with the characters. 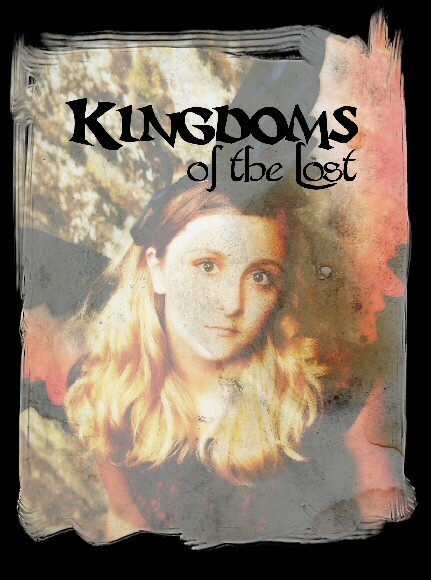 There’s also an after story added as well, that’s a bit like an epilogue to the epilogue, as odd as that sounds. A couple of aspects that I really appreciated having were the plot progression notices and the quest jumping. Basically every time you are about to do something that may make some aspects such as quests or friend info disappear, the game will blatantly tell you “doing this will progress the story”, in case you weren’t sure. For the quest jumping, I mean that generally when you fulfill the contents of a side quest, either you will automatically warp to the quest giver, or call them over to fulfill the request, so you don’t need to go find them. 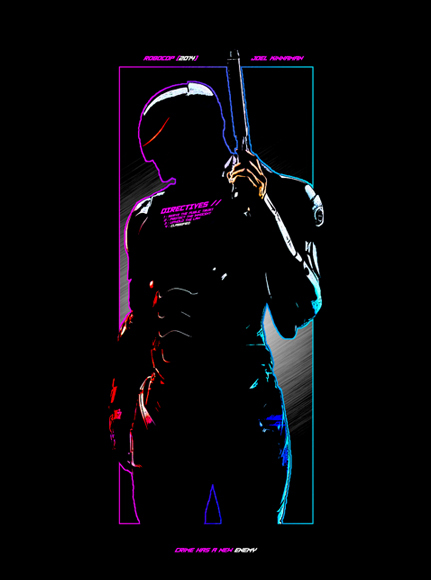 There are multiple difficulty levels and a new game plus feature, as well as new artwork has been added, as well as a boss fight rematch mode, which I thought was really cool. I liked all the minigames, although the blade matches felt distinctly NOT in my favour, but it was the first time I won the in-game lottery, and multiple times at that. Overall, while there are some issues still remaining, a lot, if not all, of my issues that I brought up in the Vita review have been fixed, and there is actually more of a challenge now. In the original, I could pretty much sit there and take hits, the enemy AI wasn’t brilliant, and very few of the “gimmicks” were really useful, but upon starting up the EX+ version I found enemies to provide a much more appropriate challenge, which I was extremely glad to see. If you’re a JRPG fan, Tokyo Xanadu EX+ is definitely worth looking into, and the improvements from the Vita release are really noticeable. If you’ve been holding out for this EX+ version, you won’t be disappointed.